Our flat solid Pine bed slats are the most common bed slats used in the UK. They are sturdy and fairly inexpensive and sold individually or in sets. 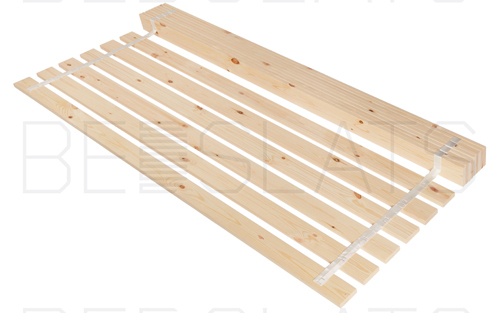 Our Pine Bed Slats are available Individually or in Full Sets. Our Individual Solid Pine Flat Bed Slats are ideal as replacement bed slats; when you are trying to repair a bed fame or only want to replace four or five bed slats. 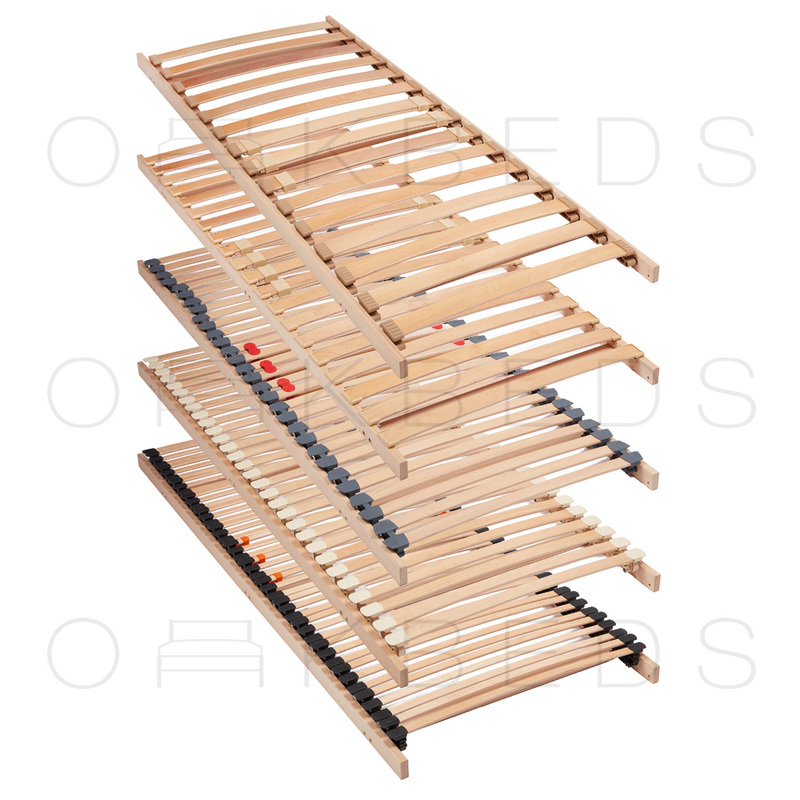 Our Pine bed slat sets are webbed together for your convenience, you’ll find that they are not only easy to attach, the webbing also keep the slats evenly spaced apart, meaning equal support for your mattress. We offer all our sets with various number of pine bed slats; meaning the space in-between the slats meets your exact requirements. Whether you need wooden slats for a small single (2ft 6) bed, a single (3ft) bed, a small double bed (4ft), a double bed (4ft 6’’), a European Double (140cm),a king bed (5ft), European King (160cm) or a super King bed (6ft), we stock the size you need. However, make sure you check your bed’s measurements before ordering, as some manufacturers build to different sizes. Is a standard UK or European size not quite right for you? Fear not. Simply opt for the next size up, and we can trim your bed slats down to the exact dimensions you require. All of our resizing is carried out by skilled craftsmen in our joinery workshop. No matter what size you need, our team can meet your exact requirements, with finished slats normally ready for you within a couple of days, not weeks.